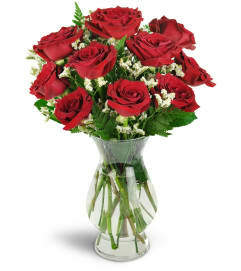 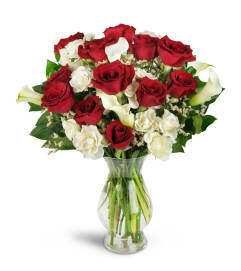 A lovely bouquet of soft, feminine flowers is perfect to send at any time of the year! 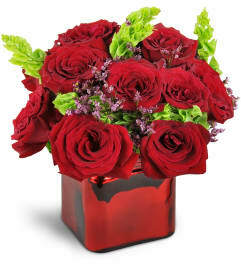 That special someone will know how much you care, and be delighted to receive such a thoughtful and beautiful gift. 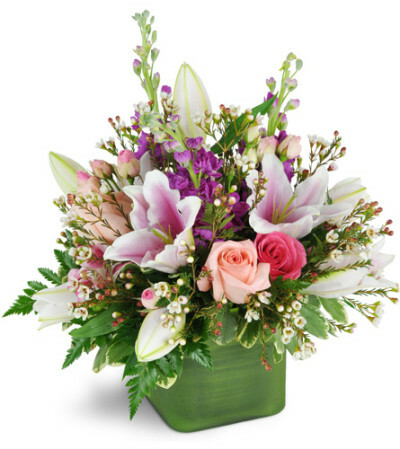 Lilies, roses, alstroemeria, and more are gracefully arranged in a cube glass vase.